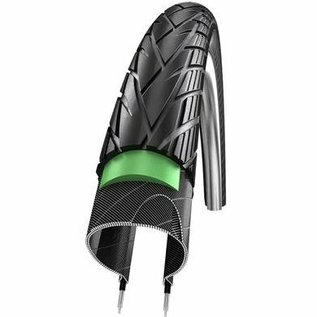 Schwalbe Energizer Plus Tire 27.5 x 1.75 - Specially made for E-Bikes. The high-quality compound has a low rolling friction and above all very good grip. That means security - also in fast cornering. Specially made for E-Bikes. The high-quality compound has a low rolling friction and above all very good grip. That means security - also in fast cornering. All Energizers have the ECE-R75 mark and are also certified for use on faster E-Bikes,up to 50 km/h. Energizer Plus is the safest Energizer. Outstanding GreenGuard 3mm puncture protection.